On December 8, 1941, U.S. President Franklin D. Roosevelt appeared before a joint session of Congress and asked for an official declaration of war against Japan. 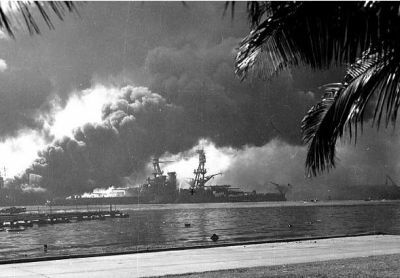 The previous day, Japan had launched a surprise attack against Pearl Harbor. Losses were devastating: Thousands of Americans were killed and wounded. In launching the surprise offensive, Japanese military command hoped that, in addition to disabling the U.S. naval fleet, the attack would depress American morale and push the isolationist U.S. deeper into a strictly defensive role in World War II. However, Pearl Harbor had the opposite effect. Soldiers, Sailors and Airmen of the Allied Expeditionary Forces: You are about to embark upon the Great Crusade, toward which we have striven these many months. The eyes of the world are upon you. The hopes and prayers of liberty-loving people everywhere march with you. 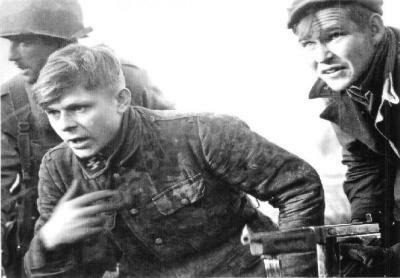 In company with our brave Allies and brothers-in-arms on other Fronts you will bring about the destruction of the German war machine, the elimination of Hitler's tyranny over oppressed peoples of Europe, and security for ourselves in a free world. Take a moment to Google+ me!